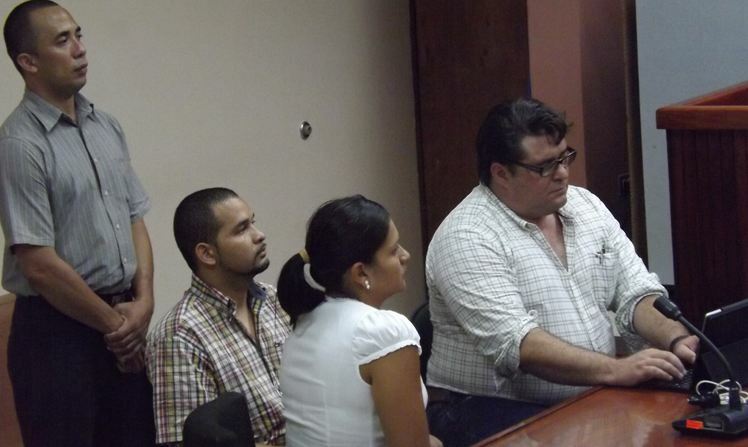 Chavez (sitting to the left) listens to the sentence on Monday. 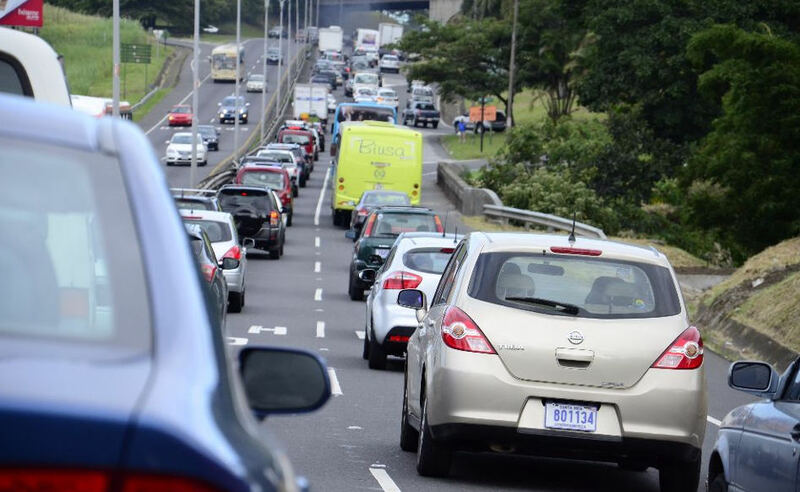 A truck driver, late Monday afternoon, was sentenced to 15 years in prison by the Tribunal Penal de Liberia for being drunk behind the wheel of his big rig and causing the accident that killed six. The sentence of Victor Hugo Chavez was read by Judge Kathy Abarca. The prosecution has asked for a 20 year sentence. The tragedy occurred January 12, 2013, in the northern border town of La Cruz when Chavez lost control of his vehicle because he had been drinking and swerving into the oncoming lane where the semi-trailer hit head on the vehicle carrying the victims. The victims, three couples coming home for a party, were: Manuel Torres Chaves (28) and Eliza Jirón (20); Júnior Arias Alegría (32) and Mónica Zúñiga Vega (24), and Gilbert Cruz Sánchez (28) and Vanesa Arias Alegría (34). The court did not buy into the defence’s argument that Chavez had drunk the half empty bottle of whiskey after the accident, to help him calm his nerves after the accident. “It’s illogical” said prosecutor Ricardo Quirós, “because no one would drink knowing they would be tested by the traffic police”. The prosecutor also called unusual a person would carry two bottles of liquor with them in the vehicle. As is the case in criminal trials in Costa Rica, victims or families of victims of crimes can ask for damages and compensation, similar to a civil suit, in concurrence with the criminal trial. 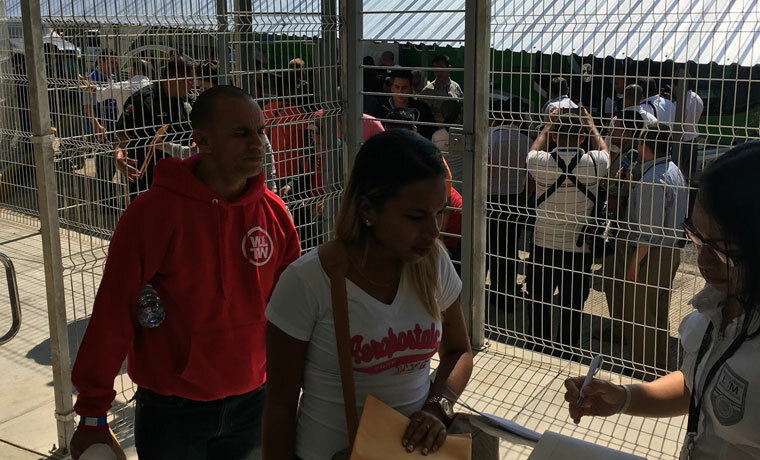 Thursday, lawyers for the families of the victims asked for monetary compensation for a total of ¢235 million colones, and a ¢250.000 monthly pension for each of the children of the victims. 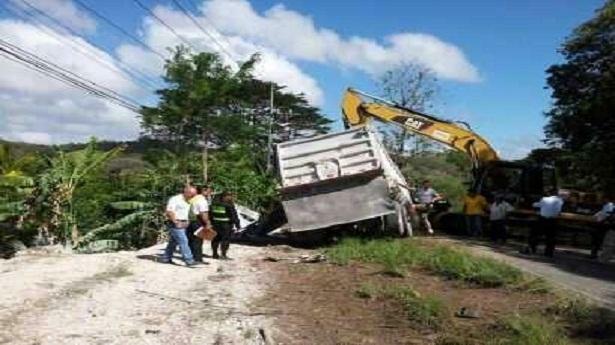 The court awarded the damages to be paid by Chavez and his employe, Excavaciones RyC, owner of the truck. During the testimony phase of the trial, police official Marvin Lopez told the court that Chavez had run a roadblock some six kilometres before the accident, weaving from side to side at high speed and knocking over the cones. Previous articleUFO’s Regular Visitors To Costa Rica?